On Monday, January 26th, DJ Forrest performed for the Harlem Globetrotters and Greyhound. Today was an amazing day where a special group of youngsters got to see the Globetrotters perform, as well as a meet and greet along with autographs. We were honored to be a part of such a special day! 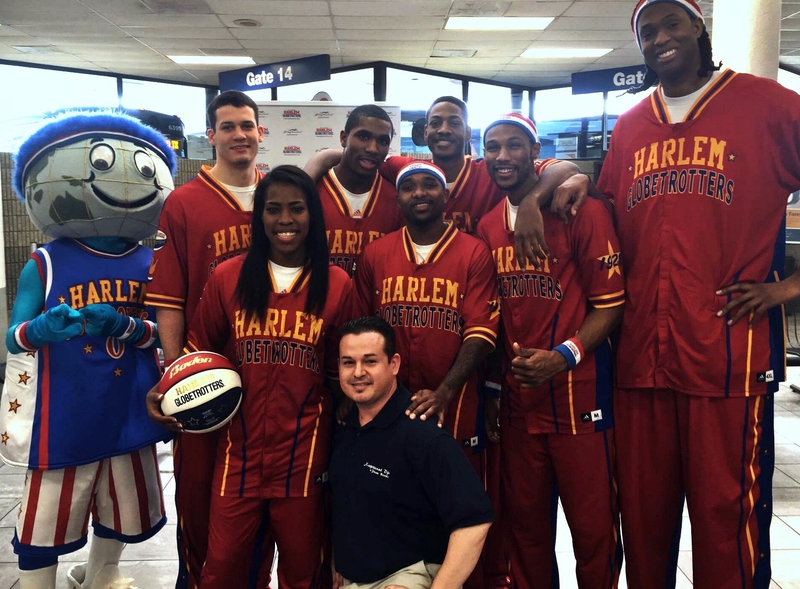 Below you will see DJ Forrest pictured with the Globetrotters! Below the picture is a quick highlight video from the event. Happy Monday friends! DJ Forrest performs the Harlem Globetrotters Greyhound Show 1-26-15 from Xceptional DJ's + Photo Booths on Vimeo.